The Piaggio Group is presenting a series of new features at EICMA in both motorcycles and scooters. 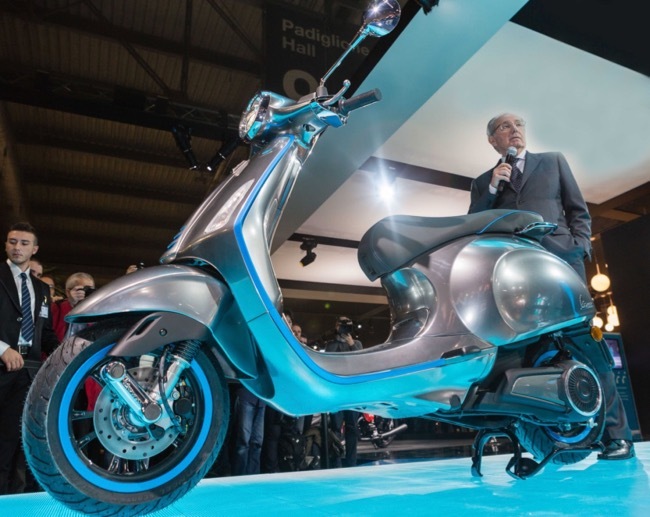 Milan, 7 November 2017 - The Piaggio Group is attending the 75th edition of the International Cycle and Motorcycle Show, consolidating its position as the leading European and Italian two-wheeler manufacturer. 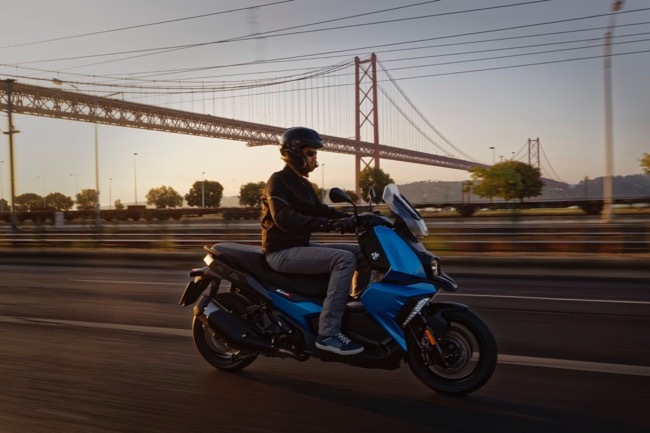 The Piaggio Group is Europe’s leading two-wheeler manufacturer with a total market share of 15.2% in September 2017, accounting for 25.4% in the scooter sector alone. The Piaggio Group will be attending EICMA 2017 following a turnover in the first nine months of 2017 of over €1 billion (€1,057.3 million, +2.5% YoY) and 426,700 vehicles sold all over the world, up 3.7% compared to 30 September 2016. In the scooter sector, Vespa in the first nine months of 2017 achieved excellent results, increasing sales by 11.4% compared with the first nine months of 2016, strengthening its presence in the EMEA market, where revenues grew by 16.5%, and in India, where revenues increased by 31.3%. A positive performance in the high-wheeler segment (growth of 6.4%), where the Group globally recorded rising revenues mainly thanks to the new Liberty and Beverly. Still within the scooter sector, the Aprilia brand was also positive, particularly in the Indian market, thanks to the Aprilia SR 150 sports scooter. Electric mobility has never been so fascinating, stylish and elegant: Vespa Elettrica is not just an electric scooter, it is Vespa Elettrica, a contemporary work of art with a technological heart. Vespa Elettrica means easy, but natural, driving. It means total connectivity and silence, customisation and accessibility, values ​​that have always been a part of Vespa and which today find their fullest implementation. The heart of Vespa Elettrica, a Power Unit capable of delivering continuous power of 2 kW and peak power of 4 kW, achieves a performance superior to a traditional 50cc scooter, especially with regard to acceleration, which benefits from the typical brilliant delivery of the electric motors. It provides an agile and enjoyable ride on urban roads, in the utmost silence: Vespa Elettrica is in fact completely silent, helping to make cities less chaotic and more liveable, while also countering pollution from an acoustic point of view. 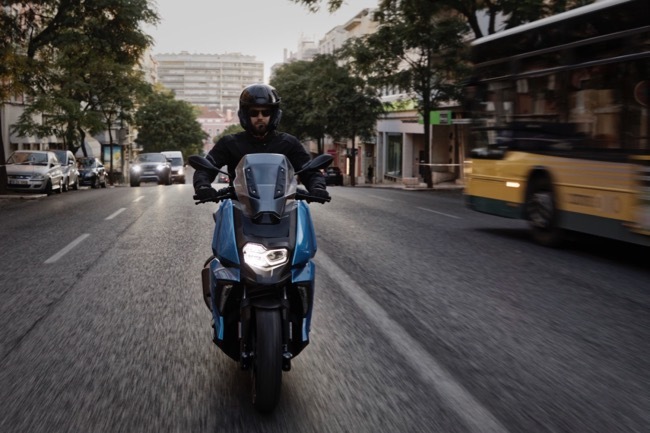 Vespa Elettrica guarantees a range of 100 km, and in order to provide a complete response to the growing demand for clean mobility, it also appears in the X version which, by placing a generator alongside the electric motor, doubles its range. The modern lithium-ion battery does not require maintenance or special precautions: for charging it is only necessary to use the cable in the seat compartment and connect the plug to a normal wall-mounted electrical outlet or to one of the increasingly present public charging station in large cities. The time required for a full charge is 4 hours. Vespa Elettrica is not just a silent, environmentally-friendly and technologically advanced vehicle; it is also highly connected: the many features offered by a new version of the Vespa Multimedia Platform, the multimedia system that connects the smartphone to the vehicle, can be managed through a completely new man-machine interface that incorporates digital colour instrumentation with a TFT display. Coming in a special chrome grey finish with metallic reflections, around which the customer can choose to tailor many distinctive details, available in seven colour variants, Vespa Elettrica will be wholly produced in Pontedera and from there will be distributed throughout the world in 2018. For the 2018 Vespa Primavera there is added improvement with a series of updates that enhance comfort, safety and renew their style. The most important news comes from the size of the wheel rims: made of aluminium alloy and distinguished by an unusual five-spoke design, they are now both 12”. 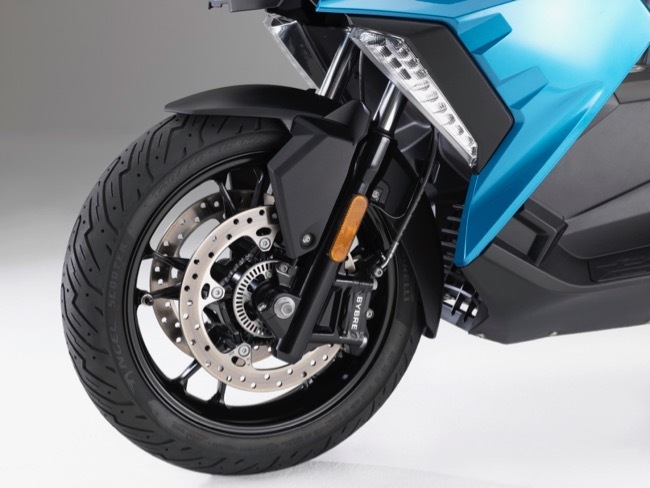 The bike’s active safety has also expanded thanks to the LED lighting technology now being used in the front and rear headlights, while the Bike Finder and the remote control seat opener are now standard. Vespa Primavera benefits from further operations that renew its line, thus distinguishing it from previous versions. What are new are the distinctive “tie” featured on the front and the chrome crest on the front mudguard. Another great new feature launched at EICMA 2017 is the Vespa Primavera S: in addition to all the new features that enhance the range, the sporty version of the beloved Vespa adopts totally digital instrumentation through a 4.3” full colour TFT display. The instrument, in addition to displaying all the classic information, works as a display for the Vespa Multimedia Platform in its latest release. Vespa Primavera 50th Anniversary celebrates the first fabulous 50 years of a timeless classic. 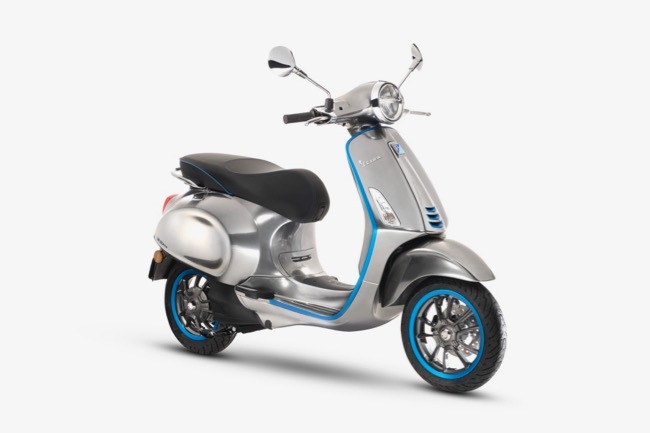 Offered with the i-get 50cc and 125cc engines, it is distinguished by the unusual Light Blue and Brown colourways with coordinated seats, the sleek grey finish of the five-spoke wheels and of course the logo that elegantly marks the back shield. For the 2018 Vespa Sprint has undergone a number of stylistic and technical evolutions. 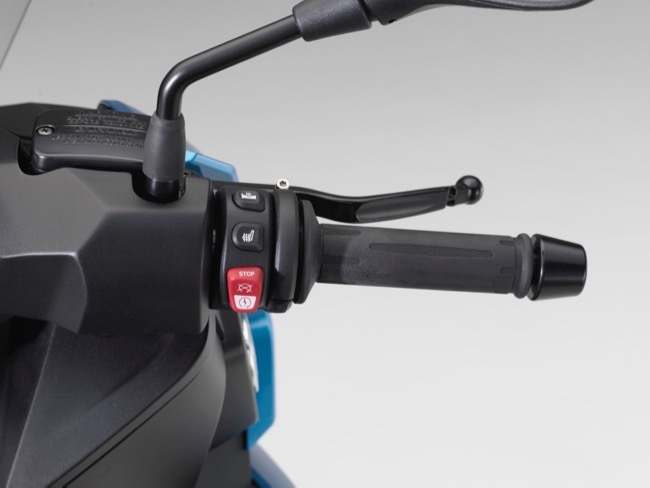 The active safety has been enhanced thanks to the LED lighting technology now adopted on both the front and rear headlights while the Bike Finder and the remote control seat opener are now standard. 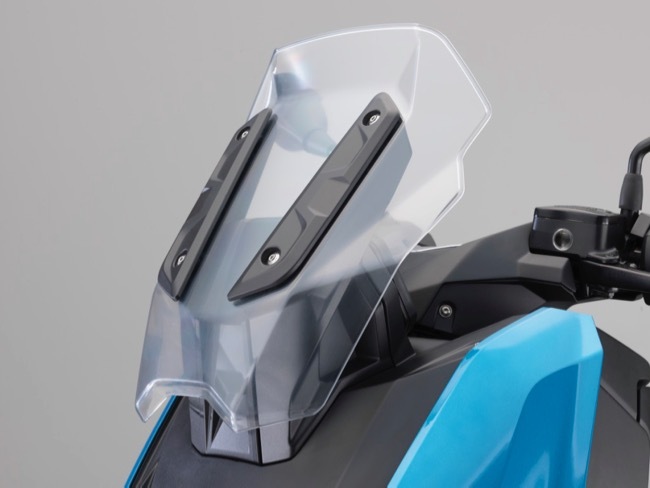 Also new is the “tie” featured on the front, an addition that brings the Vespa Sprint line up to date, thus distinguishing it from previous versions. Vespa Sprint S further accentuates Vespa Sprint’s sporty styling and is designed to be the most spirited of Vespa’s “small body” family. The most important new feature is the instrumentation which, as in the sister model Primavera S, is a full colour TFT multifunction display. There are two new versions of the original and most popular three-wheeled scooter: more features and more comfort, with improved design and finishes. There are the Piaggio MP3 350 Sport and the Piaggio MP3 500, the latter provided in two variants: one more stylish (Business version) and the other sportier (Sport version). The new layout features a redesigned grille on the front shield and full LED lighting system. 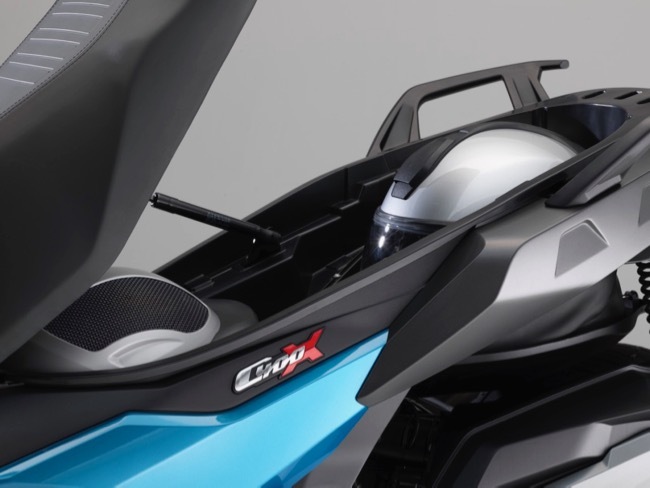 Also new is the more protective smoky windshield and the seat with more comfortable padding, equipped with a new backrest for the passenger. It also boasts new handlebars. The standard equipment is improved: the Business version also adopts the TomTom Vio navigator as standard, while the Sport version features more spirited and effective gas shock absorbers as well as a pair of front disc brakes with a daisy profile. 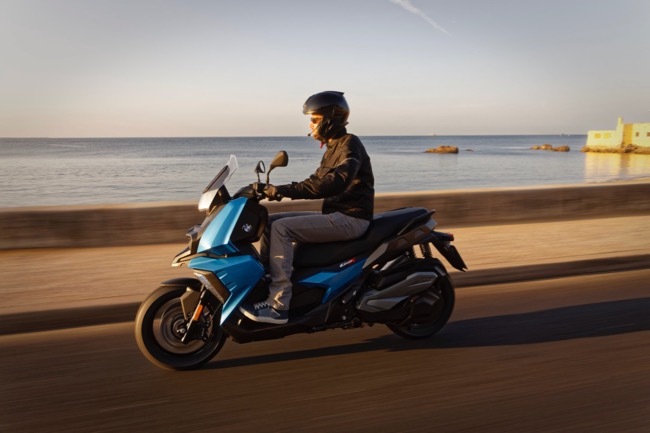 The Piaggio MP3 500 is equipped with a single cylinder, revised in numerous details and now able to assure 10% more power (now 41 HP), with better exhaust sound and very low fuel consumption. Piaggio MP3 350 launches the well-known and well-liked Piaggio 350cc engine with over 30 CV of power. For all ABS and ASR models, they are standard. There is no change to the exclusive Piaggio technology for the dual independent and tilting front wheels, which are regulated by a unique four bar linkage suspension, which the leading Group in Europe designed and developed before any other manufacturer in the world to ensure maximum riding pleasure in complete safety. 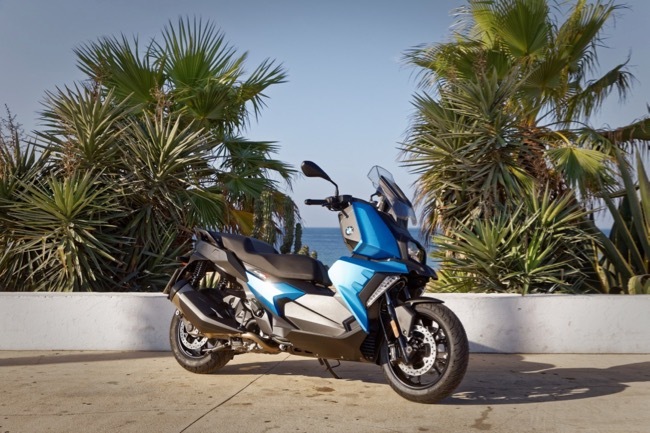 The best sellers of Piaggio Typhoon, Piaggio NRG and Piaggio Zip have been completely renewed by adopting modern and advanced Euro 4 motors, with two and four stroke engines. A wide-ranging proposal that meets every need for urban commuting and ensures the Piaggio scooter range especially dedicated to young people is absolutely unique. On the one hand, Piaggio Typhoon, a true icon of the scooter world and the sporty NRG Power DD, are equipped with a new two-stroke unit with electronically controlled carburettors, air and liquid-cooled, respectively; on the other, Piaggio Zip, another name that evokes one of Piaggio’s biggest commercial successes, on which it launches the innovative i-get 50cc four-stroke engine with three-valve distribution. These are modern, eco-friendly, lightweight engines, in parallel with the introduction of new, important features that bring, for all three models, a global improvement on the benefits, comfort and quality of construction. More EICMA news to come! 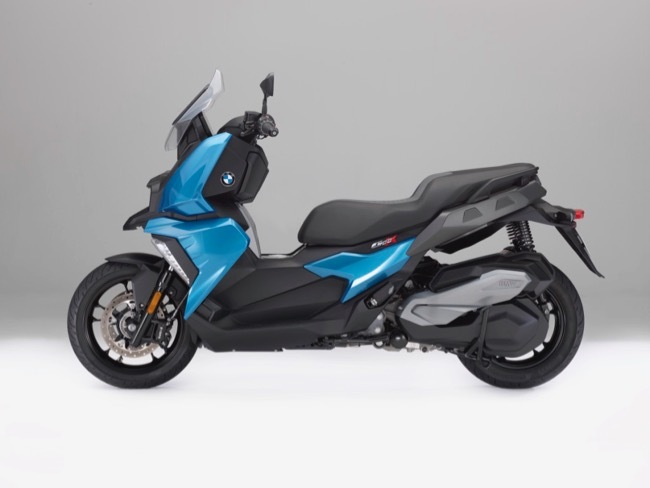 EICMA Show News: The new BMW C 400 X: the dynamic BMW Motorrad mid-size scooter for maximum riding fun in an urban setting. 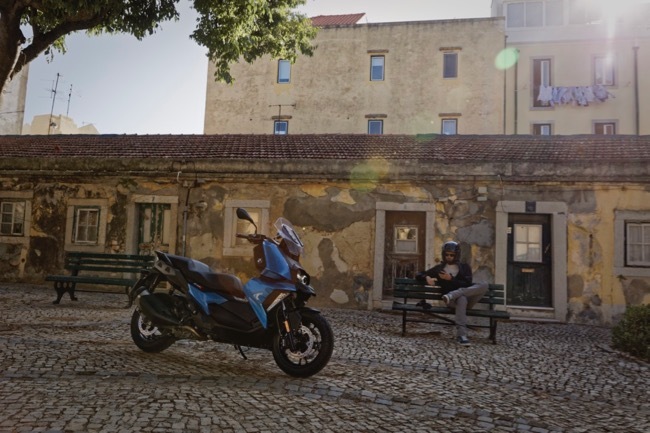 In terms of drive technology, the BMW C 400 X provides this new dynamic access to the urban environment by means of a newly developed efficiency- optimised single-cylinder engine with an output of 34 hp (25 kW). Power transmission is via a CVT (Continuously Variable Transmission) gearbox and a torsionally stiff drivetrain swing arm with innovative swing arm bearing for minimum vibration and therefore maximum comfort. Automatic Stability Control ASC ensures increased safety during acceleration, especially on slippery surfaces. Rugged tubular steel frame, telescopic fork and high-performance brake system with ABS as standard. 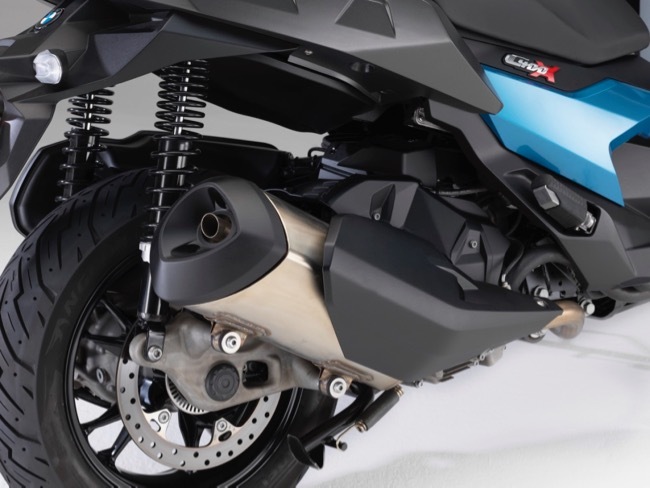 In the chassis area, the new BMW C 400 X sports a rugged tubular frame made of steel. Suspension and damping are taken care of by a telescopic fork at the front and two spring struts at the rear. The set-up and spring travel have been selected so as to ensure that sporty, dynamic riding fun is combined with a very high level of comfort. Supreme brake performance and outstanding safety are provided by the twin disc brake at the front in conjunction with a single disc brake at the rear, along with ABS as standard. 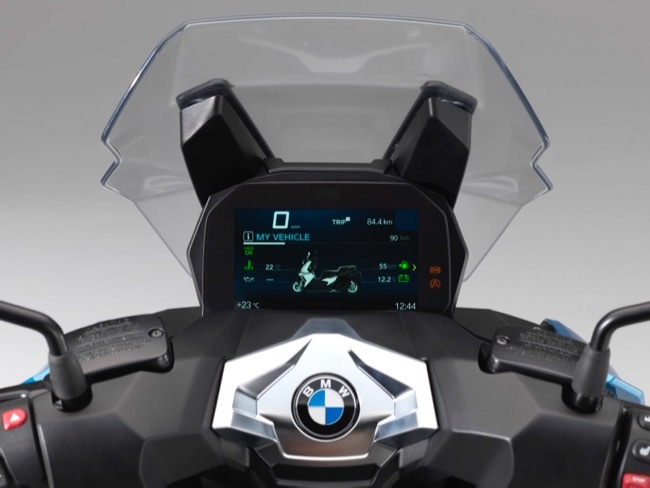 LED lighting technology as standard and BMW Motorrad Connectivity as an ex-works option. 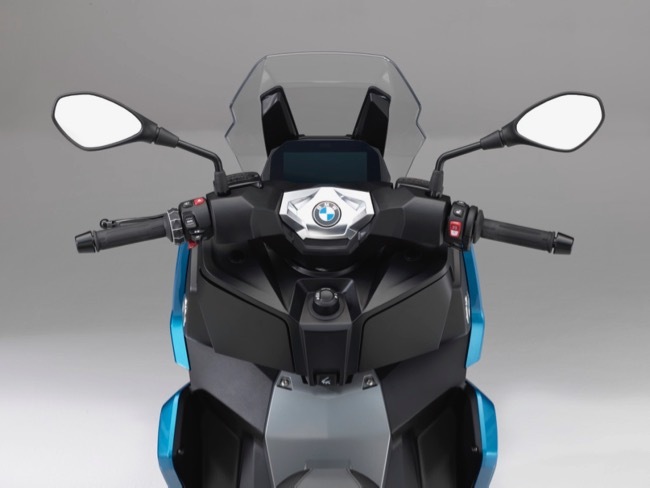 In addition to standard lighting technology in highly luminous LED technology, the new BMW C 400 X also offers a range of highlights in the area of connectivity which is new to the segment. A multifunctional instrument cluster with 6.5-inch full-colour TFT screen is available as an ex-works option, for example. 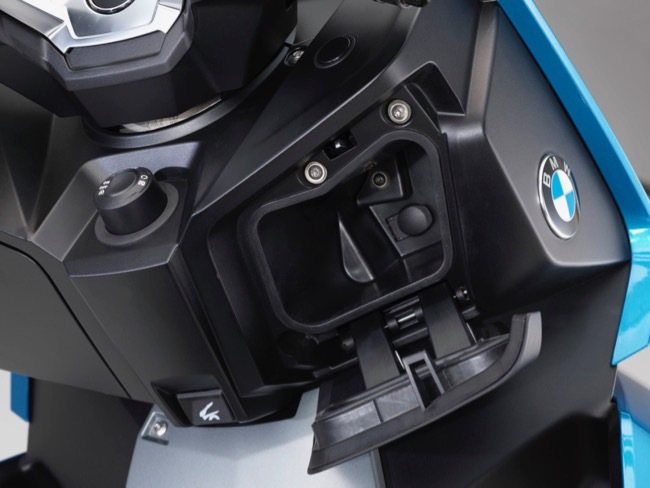 In conjunction with the further advanced BMW Motorrad Multi- Controller offering integrated operation, this means the rider can access vehicle and connectivity functions quickly and without being distracted from what is happening on the road. In addition to the convenience of being able to use the phone and listen to music during travel, there is also the benefit of effortless navigation by means of a practical system of arrows. Modern, innovative design with excellent wind and weather protection as well as an ingenious storage concept including Flexcase. In terms of its styling, the new BMW C 400 X can be instantly identified as a member of the BMW Motorrad C family: its appearance is modern, future- oriented and functional. Viewed from the front, the dominant feature is its iconically styled LED headlight with distinctive daytime riding light design (optional) in the form of fibre optic elements. 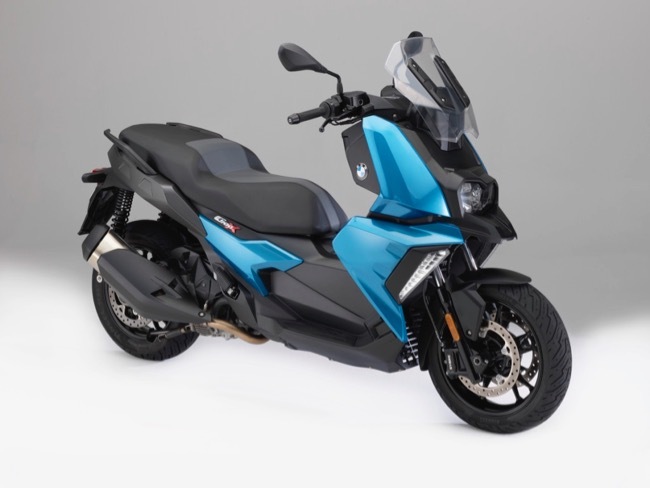 This sets the new BMW Motorrad mid-size scooter clearly apart from its competitors, giving it a particularly sporty and dynamic look. With excellent wind and weather protection, a carefully conceived storage concept comprising two integrated compartments and the Flexcase under the comfortable, single-section seat, the new mid-size scooter offers everything that is needed to meet the demands of everyday practicality and touring suitability. Attractive paint finishes for distinctive character qualities. 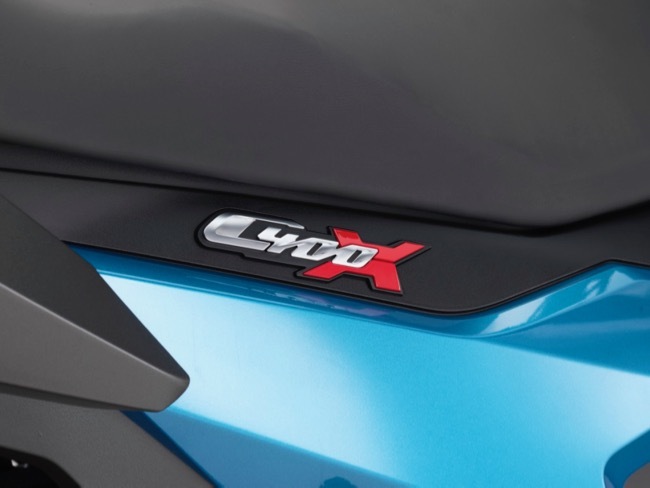 There is a choice of two paint finishes for the new BMW C 400 X. Zenith Blue metallic gives the new BMW C 400 X a pronounced modern appearance and underscores its athletic properties. In the paint finish Alpine White non- metallic, the distinctive styling of the new BMW C 400 X comes into its own, making it look more technical, compact and light. 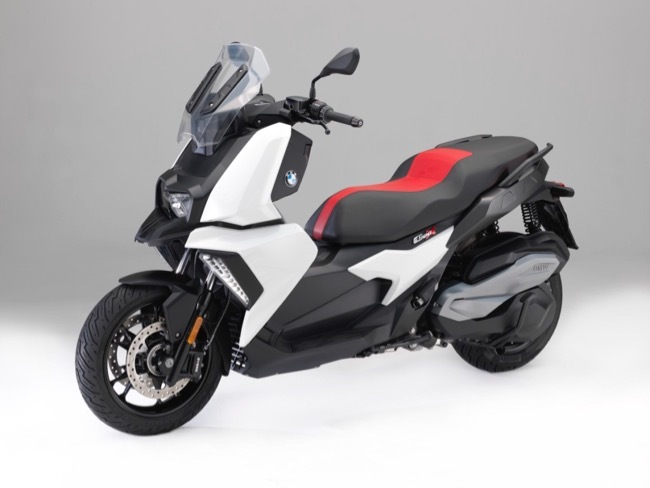 The contrasting single seats in grey-black or red- black emphasise the BMW Motorrad mid-size scooter's dynamic appearance, as well as underscoring its additional strengths of agility, easy accessibility and effortless handling. Efficiency-optimised single-cylinder engine with a capacity of 350 cc, high torque and CVT gearbox. Highly compact design with wet sump lubrication. 25kW(34hp)at7500rpm and 35Nm at 6000rpm. Electronic fuel injection, digital engine control and ASC. Suspension with rugged tubular steel frame. Torsionally stiff drivetrain swing arm with innovative swing arm bearing for minimum vibration. Telescopic fork at front and two spring struts at rear with ample spring travel. Powerful braking system with ABS as standard. LED lighting technology as standard. Connectivity: Multifunctional instrument cluster with 6.5-inch full-colour TFT screen and numerous features as an ex-works option. Excellent wind and weather protection and sophisticated ergonomics. Generous storage space with two storage compartments and Flexcase. Attractive paint finishes with distinctive character qualities.